Pioneers in the industry, we offer tft screen with rear view camera from India. 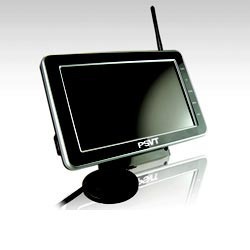 The 7 inch TFT wireless monitor is specially designed for caravan and motorhome. The built-in wireless module monitor supports one channel input. With significant long distance and stable transmission capacity, the transmission range can be as far as 100M. Applicable for DC 12V/24V vehicle. Looking for Tftscreen Rearview Camera ?